French luxury footwear and fashion brand, Christian Louboutin teamed up with Senegalese women to create their latest fashion statement piece dubbed, Africaba Tote bag. 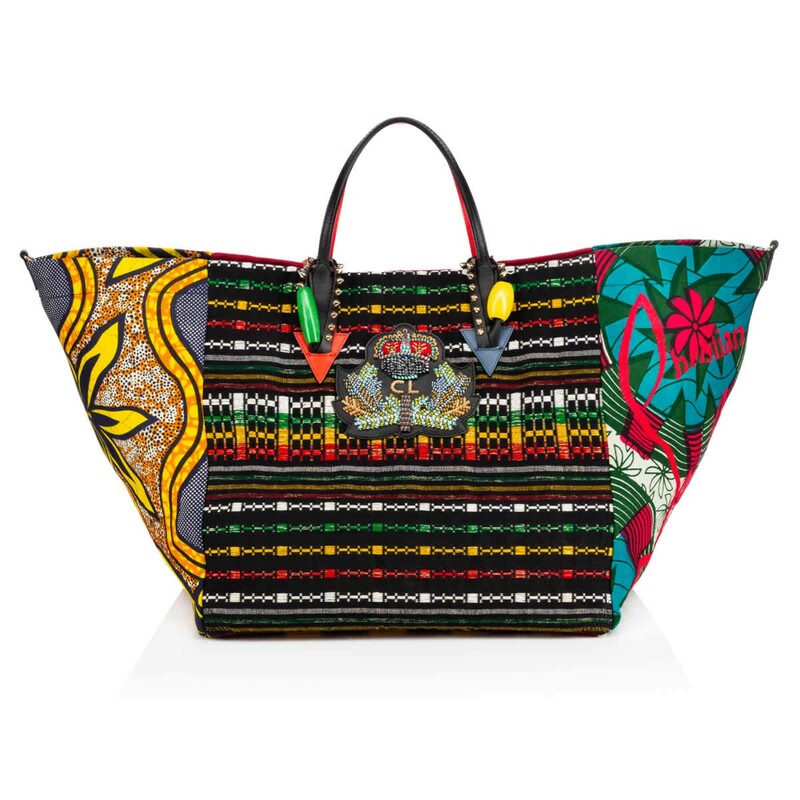 The bespoke bag is made up of interior features with one slip pocket and exterior features of detachable leather shoulder strap embroidered with a mix of bright tribal prints. 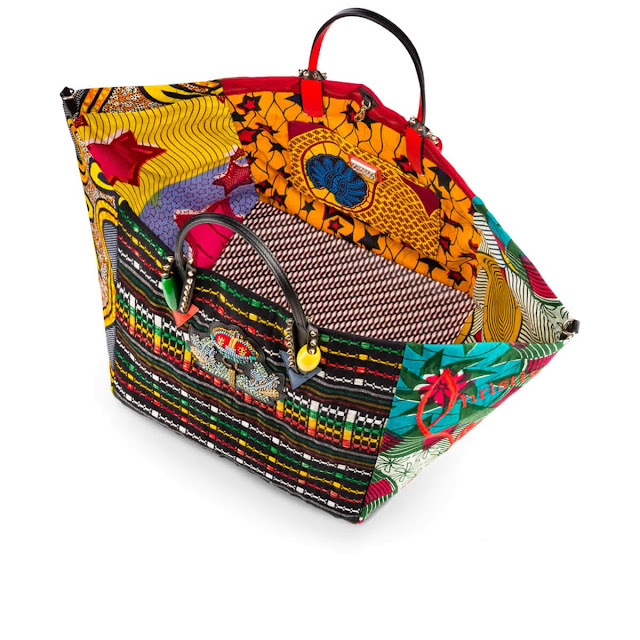 According to Christian Louboutin, the Africaba Tote bag was created in collaboration with La Maison Rose, "Africaba" was designed to help you give back in style this season. 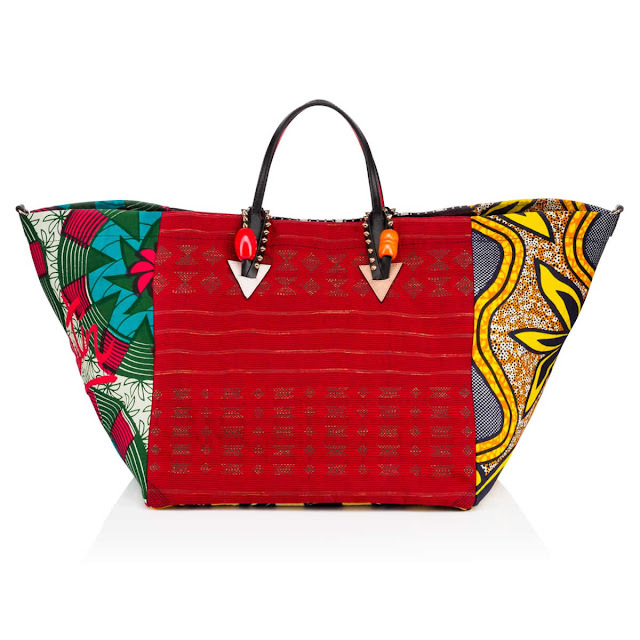 This soft-bodied shopper is dressed in a vibrant palette of traditional African prints and finished with leather handles lined in Loubi red, accented by colorful beads and signature spikes. An artisanal version of the iconic CL crest and a chic embroidered logo complete this dynamic carry-all. Ten percent of proceeds from this exclusive style will go to support La Maison Rose, a French charity that provides aid relief to Senegalese women and children.